The Zombie Bosses box gives you three new Abominations that can end up on your game board. With new Abominations, you're going to need more heroes. Good thing there's two different ways to get more onto your table. 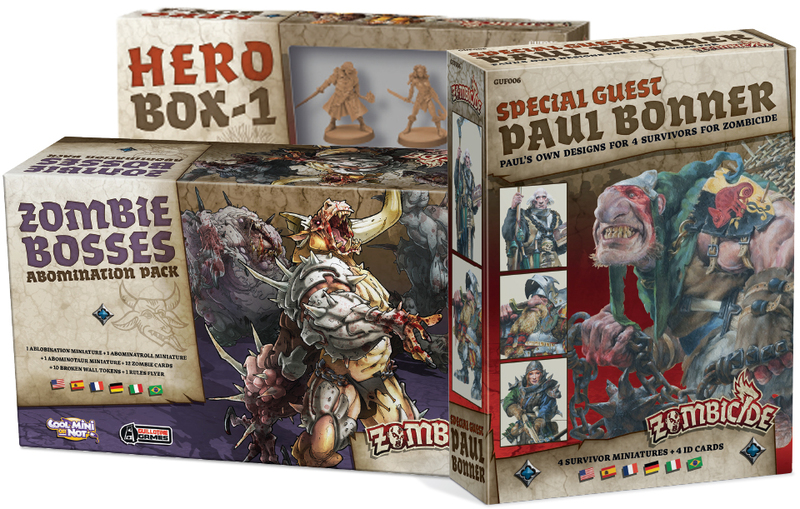 The Hero Box 1 and the Paul Bonner Special Guest Box each give you a supply of new characters with which you can take on the zombie hordes and their Necromancer overlords.